I officially stepped into my light, and continue to do so every day. Before I worked with Abra I felt hopeless. I had lost weight on traditional “diet plans” and promptly gained it back when I tried to go back to eating “regularly". During weight loss phases, I would become very rigid with my diet and workout routine, it was a false sense of security. I never knew the appropriate way to handle the maintenance phase. Most importantly, I never knew how to handle the vulnerability and exposure that weighing less brought me. This made me susceptible to quickly gaining back anything I lost and usually more to escape the fear. Since working with Abra, I now feel like a completely different person, I am excited by what life has to offer me. I am so proud of my positive relationship with food and acceptance of my body. I have healed my physical self, improved blood work and bone health, but I have also healed my emotional self. I have accepted my vulnerability and now see it as a sign of strength! Yes, I have lost significant weight, but more importantly I have gained a better life. I am comfortable with the body and person I put on display, I don’t feel like I need to hide myself under excess body fat and extra-large clothes. I strengthened my emotional muscles while building physical ones. I officially “stepped into my light” and continue to do so every day! I want you to know that Abra is delightful, personable, fun, and creative. She has a deeper understanding that goes beyond food and weight and provides a safe and judgment-free zone to explore tough issues. She met me where I was at when we began. I was ready for change but needed “small-steps”. She honed in on my passion for food and cooking and we started by getting me back into the kitchen. I stepped away from any kind of rigid diet and began slowly incorporated more fruit and vegetables (especially Kale!) into my life. Regular trips to the greenmarket commenced and I got excited about modifying my diet even more since I developed a taste for delicious, local produce. Before I knew it, I was fully enjoying a mostly plant-based, whole-foods diet, feeling fully satisfied, having the ability to go out to eat in social situations with ease and losing weight! During this time, Abra also used her vast incite and understanding to talk about where I saw myself in life. This helped bridge the gap between changing my body and my mindset. Now that I am at a healthy weight, I do not have to change anything about the way I ate and worked out during weight loss phase. I highly recommend that anyone who has struggled with their weight, relationship with food and/or acceptance of their body meet with Abra and give her process a try. You owe it to yourself to allow her to guide you to a place of health and wellness." Abra is my "I am worthy" guru. "Abra has helped me in so many ways but her biggest gift to me has been helping me realize that I am worthy – worthy of good health, worthy of good nutrition, worthy of loving myself. She understands how painful it can be to be stuck in that never ending cycle of wanting to be healthy but not knowing how to get there. Abra can help you find the way. Here is a pic of the two of us at my very first Spartan Race – 3.5 miles of obstacles, stairs and giant walls at Fenway park. She was with me every step of the way that day and continues to help me on my journey today. Whether it be kicking my sugar habit, taking my physical fitness up a notch, learning my way around a kitchen – Abra is there to help." My awareness surrounding food awakened - I have healed in profound ways. I now meditate every morning and my stress and anxiety levels have diminished. Abra changed my life. I cannot recommend her highly enough. I first came to Abra for lots of reasons: I had a slew of questions, anxieties, loaded memories, and an unstable relationship with food that needed to be normalized. I had a rocky history with eating disorders, drug use, and perception of my own body. I had had terrible problems with adult hormonal acne and was on a high dose of Spironolactone, and I felt stuck on the medication, with no plans to get off it. My skin issues had lead me to a vegan diet, and I knew that if I wanted to stay vegan I would have to have a deeper understanding of food or I could really do some damage. I was also miserable with my career in film, but wasn’t quite sure how that factored into my food life, but I suspected it might be connected. The process began slowly. Abra gave me some assignments that helped me understand how my body reacted to different foods, and I began tuning in to what my body needed—what foods nourished and sustained me and made me feel good. Upon inspection, some of the foods I had been regularly eating turned out to make me feel jittery and angry! She introduced me to healthy fats that activate metabolic function, turn on brain focus, are good for the liver, and have hormonal benefits as well. We focused a lot of our attention on cleansing my liver and bringing my iron levels up. Gradually, my awareness surrounding food awakened, and my confusions subsided. As I made progress, Abra encouraged me to begin to wean off the 150mg of Spironolactone. I was terrified, but my system had transformed so much that she thought I was ready. As I weaned off the medication, she suggested I try some acupuncture treatments, which would help with the heat piece and release stagnation. Abra is not only an expert holistic nutritionist and extremely knowledgable about the bioscience side of health, she is nurturing, empathetic, sweet, and hilarious. One of the best things about Abra is that she isn’t solely interested in food. Some of the most valuable sessions I had with her were spent discussing the benefits of meditation, exercise patterns, self-acceptance, and holistic beauty care. Thanks to Abra, I now meditate almost every morning. It has helped my anxiety and stress levels diminish, which means the anxiety and stress I bring to the table have also diminished. I am down to 25mg on my medication and my skin is looking radiant. I don’t even use facial cleansers anymore! I have totally fallen in love with acupuncture and plan on moving back to the West Coast to study it and become an acupuncturist! Working with Abra has been such a powerful experience. She has helped me heal myself in profound ways and has given me the tools to continue learning. If something is off in your life—even if you don’t know what it is or what to do—if you are interested in stepping out of your paradigm, call Abra. She is simply the best. I have learned that the body is an amazing thing and holistic organic foods are meant to heal. I have healed. Before I worked with Abra my health was poor. I was diagnosed with intestinal metaplasia, chronic gastritis and had a carcinoid small tumor removed. I struggled to make right decisions regarding what to eat. I didn't know how to plan my food properly and didn’t realize that my lack of self care was a big problem. I didn’t know how to start, or how to make lasting positive changes. I was scared. I thought I was at the end of the road until....I met Abra and found the light. I decided I needed a change but I wanted a true professional that would care about seeing me get better and this is ABRA! Since working with Abra I became very confident that there was hope in healing. Abra is so knowledgeable and so willing to share her knowledge and help you succeed. She clearly picks you up where you are and takes you where you need to be. She walks you through learning what foods and supplements are best for you. She helps you plan and encourages self awareness to participate in your own healing process. I have learned that the body is an amazing thing and holistic organic foods are meant to heal. I've discovered that miracles do happen, one was meeting Abra and the second the healing of my condition through all of Abra's recommendations. It is not an overnight process but if you are consistent change works. "I don't know what you are doing but keep doing it cause it works". What I want you to know about Abra is that no matter where you are in your health walk, Abra can contribute to making it better. Her holistic approach is genuine. What about the way Abra works is unique...Abra's approach is unique because she cares, she not only invests her time, her knowledge and her self! Thank you Abra, I truly am grateful for having you in my healthy life! Working with Abra has completely changed the game for me! She taught me what I should be eating and how certain foods would get me closer to my goals. Since I started working with her I've lost 55 pounds and gained an understanding of how to treat my body! I have learned that I am stronger than my disease, I am in control of my body. That is the most powerful feeling in the world. My journey with Crohn's disease began when I was 18 years old The symptoms of Chrohn's put me in the hospital multiple times. Each and every time, no one took me seriously. I heard every wrong diagnosis from acid reflux to an STD. Just because I was young and in college, doctors seemed to disregard what I had to say about my body. I knew that there was something seriously wrong, but no one seemed to be listening. Finally, after yet another ER visit, a doctor did a series of tests and urged me to get a biopsy to confirm what she suspected, Crohn's disease. For a brief moment, I felt relieved to know that I was right, that we had finally found an answer. Then the realization that I was right about there being something seriously wrong with me sunk in. I now had an incurable disease. Was I expected to spend the rest of my life fighting this? One day at work, I was so upset and frustrated. I was now 25 and dealing with the same issues year after year. My boss took mercy on me and recommended I see her holistic nutritionist, Abra. At this point in my life, I felt I had absolutely nothing to lose and everything (a life perhaps?) to gain. Thank god I gave Abra a call. Abra and I connected immediately. She put me at ease with all of my fears and frustrations and said that she would be there every step of the way. She made me realize that I wasn't crazy for thinking that this was in no way a "normal" way to live. Abra said that it was possible for me to have control over my body, that I didn't have to live in this disease. I have never had that kind of support since my diagnosis. It was surreal! When I say Abra helps you every step of the way, I mean it. I had no knowledge of the foods I should be eating and certainly no experience in cooking. Abra realized very quickly that when I said I knew nothing of cooking, it didn't mean to just hand me recipes and send me on my way. It meant to find out where the nearest grocery store was and what to do when I got in there! We eliminated gluten and other foods from my diet. Abra explained to me how food can actually repair the damage your body has gone through. How awesome is that?! We also introduced supplements. Just giving my body the extra help it needed with these few pills, made a difference immediately. Only a few months into our journey together, I decided to ask Abra her opinion about something that was bothering me. I wanted to get off the medication, Humira. I just didn't feel like myself on it and I really wanted to see what my body could do. Abra didn't hesitate a second. She fully supported that idea as long as my Doctor was on board too. I'm happy to say that it has been three months since I've been off the Humira and I feel great. Looking back on the past year, I have made more progress than I have in the first 5 years of my diagnosis. This is because of Abra. She put me on the path to feeling in control of my body, which in my opinion, is the most powerful feeling in the world. Abra is there for me when I have set backs. Not to scold, but to encourage and to remind me of how far I've come and how I can and will get through this too. I no longer have to feel held captive by Crohn's. Abra is kind, funny, intelligent, and empowering. She listens to all of your concerns and fears and develops a plan just for you. Everyone's journey is different and she is the first one to say that. If you are willing to put in the work, Abra will get you back on the right path and give you your life back. Thank you, Abra. For absolutely everything!!" I lost 30+ lbs. For the first time in many years, I feel I can sustain that loss and enjoy a good meal!! My relationship with food has always been complicated, confounding and emotionally based. After spending time analyzing that connection, I was recommended to Abra for a practical approach. I was a bit skeptical and wary of just getting another download on what to do and what not to do. However, I have to say, in time, I turned a corner and began to appreciate and look forward to my meetings with Abra. Abra starts with what you know and builds out from there. This is key. She is attentive, warm, sensitive, smart and very easy to talk to. It is this manner, along with the slow acquisition of knowledge from Abra (in portions that I could handle) and fortified by steady results, that kept me at it and motivated. I can't say that this is a fast process. When there was a lapse, she was there to reassure me and get me back on track and explore--from a nutritional perspective--why I might have lapsed. She taught me to eat foods that made me feel full and that promoted weight loss. In all, I lost 30+ lbs. For the first time in many years, I feel I can sustain that loss and enjoy a good meal! There is no magic here. I sought an exercise program as well to accompany my change in eating habits. There is patience and breath in her process. It is difficult to put my experience into words without sounding like an infomercial, and I generally do not go “social” with my opinions, but I urge you to meet Abra at least once and see for yourself. "I have been working with Abra Pappa for well over 5 years and I can honestly say that she has been one of the most wonderful professionals that I have been privileged to work with. Abra not only has an effervescent personality but she has a cavernous base of knowledge of nutrition and she knows how to integrate this knowledge to be usable, fun, and incredibly effective. I have recommended many patients to her and each person who has worked with her has spoken her praises with absolute satisfaction. I cannot say enough great things about Abra. It is hard to find people in this world that offer amazing care, kindness, and professionalism and Abra certainly has all three and more." Eating used to be mindless and guilt ridden, now it is a celebration of nourishment. "I have been a person who has struggled with my relationship with food for most of my life. Growing up in show business I was told at the delicate age of 13 that I needed to lose weight. After that I waged a full forced war with food and a down right addiction to exercise and deprivation. Never a peaceful moment unless the scale reflected my victories. Food began to lose it’s taste, it was the enemy and only there to test my willpower. When I would finally succumb to my starvation, binges would occur, leaving me riddled with self-hatred. I felt truly imprisoned by my disorder. It was not until I began working with Abra that everything began to change… Abra’s philosophy is not a quick and easy diet plan, but rather an investigation into our emotional relationship with food. It is a gentle, yet extremely powerful process where food becomes nurture and no longer the enemy. We took things from the inside out, which enabled me to really start to listen to my body’s needs. Abra educated me thoroughly about organic food, she provided fun, informative private cooking classes and I will never shop or eat the same because of that knowledge. Even the act of eating, which was once guilt ridden and mindless, is now about tasting every bit and celebrating nourishment. Food has become a joy, a celebration rather than a never ending battle. It is, after all, the only art that nurtures. It is part of who we are and can draw us closer to ourselves and our communities. I recommend Abra to anyone who is interested in a life change. She will not give you the answers, but provide you the space to find them in yourself." I love referring patients to Abra for nutritional support. Abra offer's patients the knowledge and support they need to encourage healthy change. She is a healthy eating, mindful living master with practical tools (including delicious recipes) to help my patients make important dietary and lifestyle changes. Abra genuinely cares about her clients and I have seen great success from clients I have referred with various conditions including; obesity, diabetes, thyroid disorder, and HBP/cholesterol. I even call her food and cooking questions! I learned how to eat properly, but more importantly how to deal with and understand my feelings about food. I have struggled with weight most of my adult life, trying every diet you can imagine. I can honestly tell you that working with Abra has saved my life, I have lost a total of 60 pounds and never felt better. Abra was there to support me through my entire journey. I learned how to eat properly, but more importantly how to deal with and understand my feelings about food. It was an intense journey, but so worth it! I get so many compliments from friends and family. My self confidence has soared! I am IMPORTANT. I DESERVE healthy nourishing food. I just had my final session with Abra, the most amazing, knowledgeable holistic nutritionist. Abra has been my rock and the strength that I needed when I could not get through the day. She pushed me to realize that the most important thing for me to do is to love myself and take time for me. Her guidance has helped me make mindful choices when eating because I AM IMPORTANT and I DO DESERVE a healthy nourishing meal. I still have a road ahead of me but I am proud of the 40 lbs I have lost. Thanks to Abra for all she has taught me, she gave me hope that I thought most definitely was lost. Abra will always hold a special place in my heart. "I feel like the luckiest girl in the world for getting to work with Abra each week! Abra possesses an incredible gift to meet you wherever you are in your journey yet push you beyond your comfort zone all in the name of living your best life. I was told by doctors I would never have children, I am now expecting my first daughter. I am so very proud to say that I got to work with Abra on my weight loss journey. I have struggled with my weight since I was a child, and have tried many different diets, fads, and just plain hard work. Abra taught me that its all about what you put in your body, and she got me to listen. It was a wake up call that I had yet to find. She taught me a lot about whole, natural, and healthy food choices. I ate fruits, vegetables, and lean meats. The best part of Abra is that she can tweak any recipe! I could call her and tell her I wanted ice cream and she would come up with a natural and healthy solution. It not only hit the spot, but tasted great. I can say whole-heartedly Abra is a very genuine person that truly cares about teaching and educating you about the power healthy foods can have on your body. I lost 70 pounds with Abra’s help, and honestly never in my life felt so good. I have found a friend in Abra as well. She truly cares and never judged me when I told her how hard it was for me. She lifted me up and understood my struggles. I was told by multiple doctors I could never have children. I am now expecting my first child, a girl. While this baby was a surprise, I feel in my heart that it’s because I got healthy. I feel if I hadn’t met Abra maybe this blessing would of never happened… I look forward to working with her after the baby to get the baby weight off. I am so privileged to say I got the chance to work with Abra. I will always remember what she has given to me, a healthier happy lifestyle. UPDATE: Nicole now has 2 beautiful baby girls! Yay!! I not only lost 20 lbs, but I have learned to love and accept myself. I have grown mentally and spiritually. Being a vegetarian, I thought I was a healthy eater and I didn’t think there was anything more I could do to lose weight and be healthy. I struggled for years to lose weight and little did I know, the unbalanced nutrition I was getting from my diet was what was holding me back from losing those stubborn pounds. Working with Abra has opened my eyes up to practical and balanced (vegetarian) meal solutions as well as held me accountable to continue with healthy habits. She also helped me learn how to cook and live with a meat-eating boyfriend in a fun, enjoyable and creative way. Abra’s down to earth ways along with her passion for optimizing human potential not only led me down a path to becoming healthy nutritionally, but helped me grow mentally and spiritually. Since I began working with Abra, I have lost 20 pounds, become physically stronger and been on a journey that has enabled me to learn to love and accept myself. My life has been so much fuller and I cannot thank her enough for the amazing support she has provided thus far and the work that she continues to do. "My husband and I began a 6 month program with Abra after I finished chemotherapy treatment and my husband was diagnosed with diabetes. Although we were making healthy choice we knew we were not doing enough and needed the guidance to create real change in our health. The pace of the sessions allowed us the space to really rethink our relationship with food. We began cooking more fresh wholesome food, juicing, and added regular exercise to our lives. We also cleared out the chemicals from our lives switching to glass containers rather than plastic and not using toxic cleaning products. My husband has been able to keep his weight down and his doctors have not had to increase his medications, he has more energy and has really become the chef in the house. Oftentimes it is difficult to find friends or family members who will be brutally honest. All it took was one comment, one honest smack in the face, punch in the roll that used to hang over the pants, comment of reality. "I've never seen you heavier". That did it for me. Thank you for the honesty, now what the heck can I do about it?! I had come to my end. 5'4, 161 pounds, 31, overweight, and at the same time a marathoner, yoga practicing, healthy eating woman. It didn't make sense. 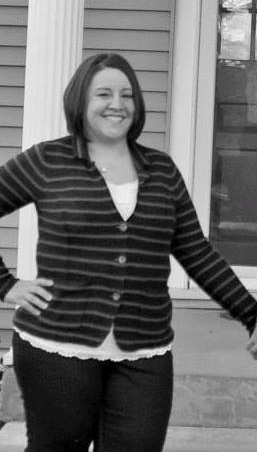 Maybe with the layer of clothes I didn't look like I weighed that much, but I knew it, I felt it, and it was effecting almost every part of who I was. I relied on my 2pm coffee to get through the rest of the day, was dragging myself to yoga, out for a training run and falling into bed at night with every ounce of frustration that no matter what I did, the scale never changed. I was stuck, my body clearly thought that 161 was where I should be. Then I talked to Abra and enrolled in the Healing Weight Loss program. [auto_content_quote]I have lost 18 1/2 pounds, dropped from a size 10 to a baggy size 6...[/auto_content_quote]This is a lifestyle change, and what lifestyle change isn't a challenge? I can though, tell you exactly what keeps me going every day. I am 31 days into the program, I have lost 18 1/2 pounds, dropped from a size 10 to a baggy size 6, feel fantastic and know that I have the support, encouragement, coping tools, and all the resources I need to stick with it. Abra Pappa has been that support system to me, I consider her one of the best nutritionists I have ever met. She is a wealth of knowledge and knows what it takes to live a healthy life. I see the scale every morning and can not get over the fact that it keeps going down, and down, and down. 1/2 pound, or 1 pound. A day. Seriously?!? YES. I still have days and weight to go, and have gotten to somewhat of an "auto pilot mode", plugging through each day with more energy then I have had in years. I know I will get to my goal weight, and soon. I have no doubt. And that my friends, is enough for me to dig deeper then I ever have. The journey is worth it. All so very worth it. You have it in you. Abra made me feel really good about myself, and now I know Change is GOOD! Abra is awesome to work with. She makes you feel like a good friend instead of a client. I looked forward to our weekly sessions. Working with Abra helped me make positive changes in my life from choosing healthier foods to eat to buying vitamins and supplements that built up my immune system. Before working with Abra I felt like I was too busy to cook, I would eat quick prepared pre-packaged and frozen foods, and my health suffered from it. I learned how to cook simple clean foods and now regularly Abra made me feel good about myself and kept reinforcing that Change is Good. I’ve experienced lots of positive changes in the past year and a half and I’m grateful to have met a great person like Abra to help through the tough times. I've lost 20 lbs and am more energetic! I am very grateful for having the opportunity to work with and be mentored by Abra as she has given me guidance on eating healthier and making the necessary changes in my diet. I learned to significantly reduce my intake of coffee as well as increase my intake of more leafy green vegetables. Abra was always supportive and knowledgeable. I am more energetic and have lost approximately 20 lbs. Thank you Abra!